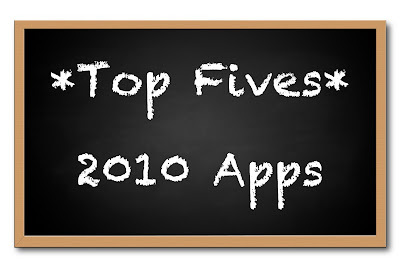 Top Fives: 2010 Apps – my books. my life. 2010 was the year that I fully embraced apps. Probably because the iPhone introduced multitasking (finally) and I got an iPad. These are my favorite app discoveries this year. Yes, I jumped on this bandwagon. It was Rebecca from The Book Lady’s Blog that first introduced me to the joy of Angry Birds. Equally satisfying and frustrating, I never knew I would have so much fun launching various birds into the complicated structures built around the egg-stealing pigs. I got stuck on a level once and had Ben help. He spent the rest of the night playing on his phone. I downloaded it for my dad when I visited. That’s all he played Thanksgiving weekend. And then I discovered the Christmas version of the game and was given the Best Advent Calendar Ever. Also, if you haven’t watched this little gem, you should. 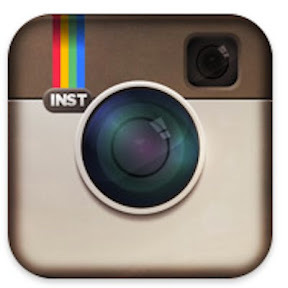 Instagram is specific to the iPhone but it is a wonderful free photo sharing app. You can take pictures from within the app or use images already in your photo album. You can then apply a filter to the photo to reflect the style you like (e.g., black and white, 1960s, lomo). Then share with fellow Instragram users plus cross post to Twitter, Facebook, Tumblr, Foursquare (there is a location based aspect), Flickr, and/or Posterous. It’s really made sharing iPhone pictures fun. We’ve been netflix subscribers for years. But this was the first year we really started taking advantage of the instant streaming feature. In fact, we just switched to the instant only plan. Watching Netflix movies (or, more appropriately, tv shows) is one of my favorite uses of the iPad. And I even used the app on the iPhone a few times (once when we were stuck in traffic on I-4 at 1am after a concert we watched an episode of The Office to pass the time). For the first time in my life, I am a runner. And it is because of these two apps (yes I’m cheating and using two here). The Couch to 5K app set out a plan that even I could keep up with and I know I would have given up ages ago if I didn’t have this app to motivate me. At the same time, I use the RunKeeper app to keep track of my speed and distance (using GPS). Once the Couch to 5K program ends, I will probably splurge for the RunKeeper Pro app because I like it that much. When I first got the iPad, I thought I would use the ereader part of it the most. That hasn’t turned out to be the case but I do really appreciate the various ereader apps that are available. I like the Nook app the best followed by the Kindle. I like the look of the iBooks app but the selection is still pretty pitiful. I haven’t played much with the new Google Books one yet and I only use the Bluefire Reader when I’m reading a Netgalley book. I’m hoping to read more ebooks in the future. I have yet to jump on the Angry Birds bandwagon. Great list. I’m always looking for new apps! Great list Michelle; I must try the Instagram App–sounds great.